Today the U.S. Nuclear Regulatory Commission ("protecting people and the environment" is their motto, not their MO) distributed a press release (shown below) which starts out: "The NRC has preliminarily determined that the inadequate design of the steam generators at San Onofre Nuclear Generating Station was a violation of low to moderate safety significance." Calling what happened at San Onofre -- the steam generator problems that killed the dragon -- "a violation of low to moderate significance" is the real crime. NRC is denying the possibility that "Fluid Elastic Instability" (a non-chaotic fluttering in unison of the dime-thin tubes inside the steam generators) could have caused multiple tube ruptures followed by excessive loss of coolant and a probable meltdown. With this "preliminary finding" one has to doubt the NRC really understands what happened at San Onofre in the first place. Or maybe they just like to coddle the industry. Southern California Edison is likely to get off with little or no fine or punishment, and certainly not jail time, for nearly melting down "our" reactors, let alone for misleading the public about the dangers, intimidating their employees, falsifying records, and wasting billions of dollars since shutdown -- of ratepayer money -- planning for a restart that will never happen. The NRC has a color chart indicating safety significance, which runs from green, to white, to yellow and then -- supposedly -- to red. But what's ever red? This incident was "white" for Unit 3 and "green" for Unit 2. Which means, in essence, San Onofre Unit 2 was closed forever due to a problem of no significance to the NRC. And the NRC is colorblind. They can't see red. It is clear that the NRC has every intention of white-washing the incident, especially by ignoring the possibility that Fluid Elastic Instability would almost certainly occur during a Main Steam Line Break in Unit 2 with the possibility of multiple tube breaks in a matter of minutes. If that's not a red flag, I don't know what is. And besides that, we all knew some sort of regulatory action was coming because the inspection report (the "Confirmatory Action Letter" from March, 2012) identified that the computer codes were wrong. Sooner or later, some level of blame had to be handed out. They couldn't possibly just blame MHI. It looks like they plan to blame SCE a little too, but it doesn't look like they blame themselves for anything. Concerned urban planner Torgen Johnson, and former NRC Chair Gregory Jaczko, PhD, are doing fact finding in Japan for the upcoming conference to be held in New York and Boston, "FUKUSHIMA: ONGOING LESSONS (for New York and Boston)". The Samuel Lawrence Foundation (501c3) has sponsored this trip in advance of the conference, thank you. NRC MEETING IN CARLSBAD, CA THIS THURSDAY!!! Nuclear Regulatory Commission (NRC) public meeting on decommissioning San Onofre will be at the Omni La Costa Hotel, 2100 Costa del Mar Road, in Carlsbad, from 6-9 p.m. on Thursday, September 26. Doors will open at 5 p.m. for security screening. If you live in CA please share this, we need you at this very important meeting. The NRC has preliminarily determined that the inadequate design of the steam generators at San Onofre Nuclear Generating Station was a violation of low to moderate safety significance. The preliminary finding is identified in an inspection report documenting the NRC's assessment of Southern California Edison's response to a Confirmatory Action Letter issued on March 27, 2012. The CAL documented actions that Edison agreed to take in response to the Jan. 31, 2012, steam generator tube leak at its Unit 3 reactor. The NRC conducts inspections in order to verify that the commitments made in the licensee's response to a CAL have been completed. Such inspections can lead to findings such as those cited in this instance. In addition, NRC has issued a Notice of Nonconformance to Mitsubishi Heavy Industries for problems associated with the design of the steam generators. Mitsubishi has 30 days in which to respond in writing. The company can contest the notice, or provide additional information explaining corrective actions they have taken or plan to take to address the nonconformance. 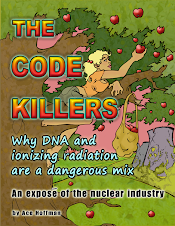 The NRC uses color-coded inspection findings to assess the risk significance of violations. The colors start with green, then increase to white, yellow or red, commensurate with the safety significance of the issues involved. The NRC has preliminarily determined that the inadequate computer modeling that led to the deficient design of the steam generators is a white finding of low to moderate safety significance in Unit 3. A green finding was issued for Unit 2 because its tubes did not lose integrity. Two minor violations were also identified associated with the review of proposed changes to limit plant power to 70 percent. Edison has 10 days in which to notify the NRC of its intentions of whether it will accept the violation, request a regulatory conference or submit information in writing before a final determination is made on the proposed violation.